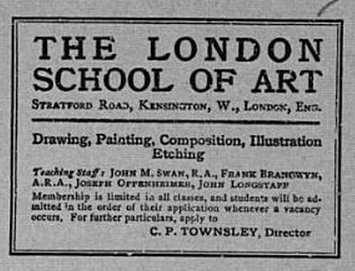 Jan Gordon, Gladys Hines (1888-1958), Nina Hamnett (1890-1956) and R.H. Wilenski (1887-1975) were contemporaries at the London School of Art ("Brangwyns"). Nina Hamnett moved there in 1907 after she had transferred from the Pelham Art School and continued her studies until 1910. Jan Gordon was her contemporary there during 1907-8, before his move to Paris. 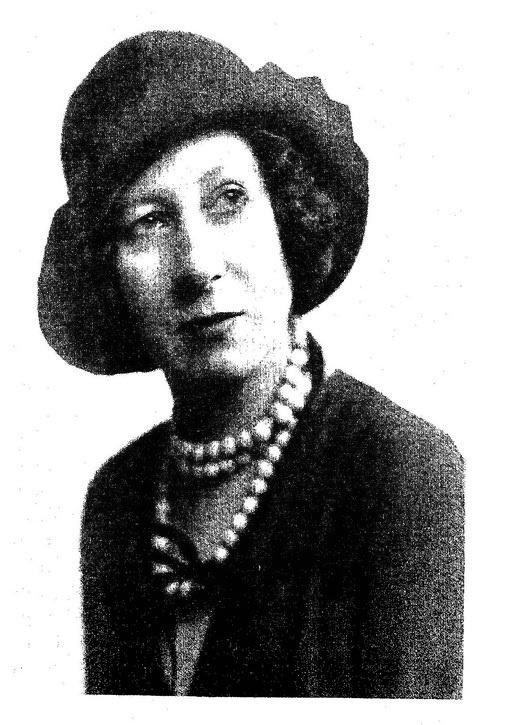 Nina Hamnett is mentioned in "The London Roundabout" (1933) in a nostalgic conversation between Jan Gordon and "G.": "G. and I were discussing real-life romances of the students with whom we had been at school." "G." may be Gladys Hines who is the model in this painting by Harold Knight. Gordon wrote, ""By Jove!" I say to G. "If we had only known what would happen to all the school geniuses..."
"Yes," said G.,"Who would have thought that ... N. would have turned up as a half-drunken, half-genius notoriety, ..."" (The text is unusual for Jan Gordon in that the capital letter refers to the first name of the individual concerned as opposed to the surname in earlier texts (e.g. see)). Nina Hamnett did indeed become notorious. She recorded her account of Bohemian life in England and France in her (very enjoyable) 1932 book "The Laughing Torso", published the year before Jan and Cora Gordon's "The London Roundabout". Of Brangwyns, she writes, "Wilenski, the art critic, was there too. He wore a large sombrero, a black cloak and carried a silver-headed stick. He had studied abroad and painted purple and green studies and was the admiration of the whole school, but we were rather frightened of him and regarded him as a superior being who understood the mysteries of life. Jan Gordon was there also." Nina Hamnett, "Myself to-day" in her 1932 book "The Laughing Torso." Hamnett went on to exhibit works at the New English Art Club, the Royal Academy and the London Group in England, and also at the Salon d’Automne in Paris. She taught at the Westminster Technical Institute from 1917 to 1918 and was an associate of Bloomsbury artist Roger Fry, assisting in avant-garde productions of fabrics, clothes, murals, furniture and more. She was a successful artist for nearly forty years.